As well as loving my design work, I also have an absolute passion for health and wellness. I love to support others on their healing path. I have found when working with the bush flowers dramatic shifts can occur. Profound yet subtle…it’s quite amazing. 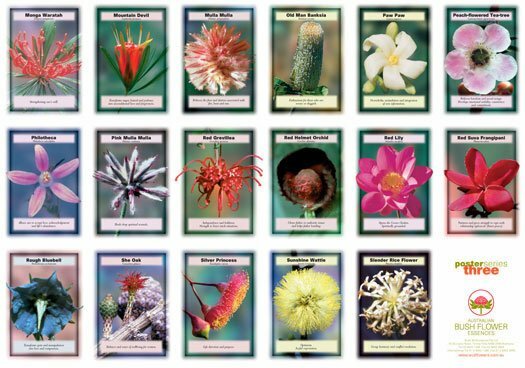 The founder of the Australian Bush Flower Essences Ian White – has discovered the magical healing properties of 69 native flowers from around Australia. 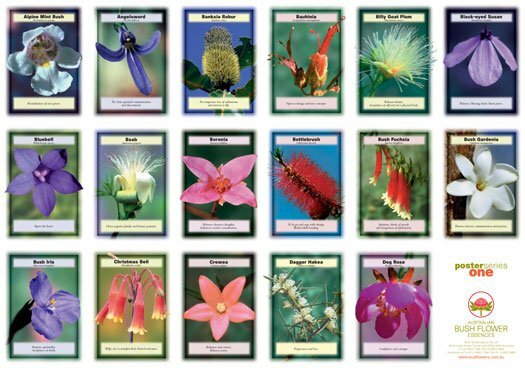 I am a qualified Australian Bush Flower Essence practitioner, and can assist you in finding a combination of up to 7 flowers, which may help bring about profound healing on all levels – mental, emotional and spiritual. CASE STUDY: One example was when I was making up an essence for a 3 year old girl. She had some issues with aggression and possessiveness when playing with other kids. Her mother and I placed all the 69 flower cards face up on the floor and asked her to choose as many cards as she felt. She stood there with her little cut toes and grabbed the three cards closest to her, with her foot. We asked if she was sure they were the ones she wanted, and she nodded. 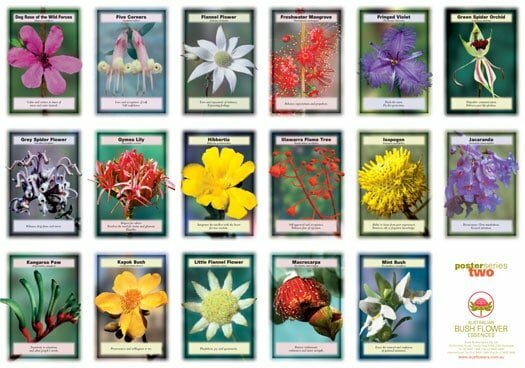 Thinking that maybe she hadn’t really tuned in, and had just chosen the ones closest (kids are super intuitive and I always get them to choose there own flowers), we decided to rearrange the cards – this time face DOWN. We asked her to choose again, and GUESS WHAT? She chose exactly the same three! We gave her a dose of the remedy then and there, and the mother and I could feel the shift happen. Amazing ) Her mother reported that she had become more gentle, and was playing better with other kids. If you feel called to work with the flowers for your healing journey, please contact me to arrange an appointment.